The Lindy Chamberlain trial dominated the media landscape in the 1980s as a major miscarriage of justice unfolded. The Chamberlain Case delivers a comprehensive account of the case's intricacies, including the forensic evidence, prejudicial media coverage, scapegoating and religious vilification. 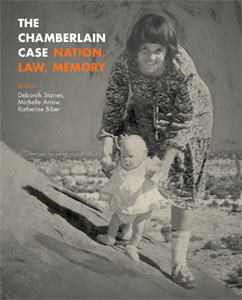 Lindy Chamberlain relates her experiences of the trial, and there are contributions by eyewitnesses, members of the Chamberlain defence, academic experts and distinguished authors, as well as extracts from each of the eight judicial findings. The Chamberlain case is one that continues to resonate with Australians.